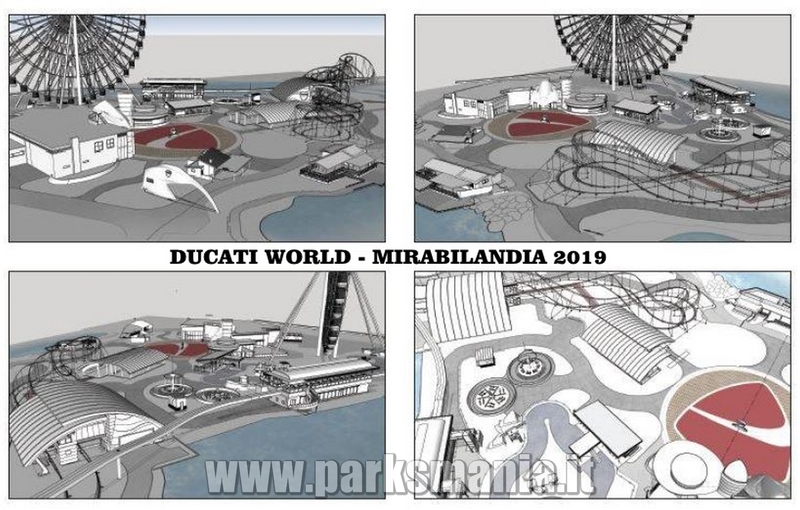 Mirabilandia 2019 - Ducati World : Theme Park News & Construction! Bologna, November 27, 2017 - Roller coaster and driving simulator , but also a showroom, three rides and a playground for the youngest. In short, an entire area dedicated to the Rosso of Borgo Panigale within the most famous amusement park of the Riviera Romagna and beyond. Ducati Motor Holding and Parques Reunidos, one of the industry's leading players, sign an agreement for the development of Ducati World at Mirabilandia . 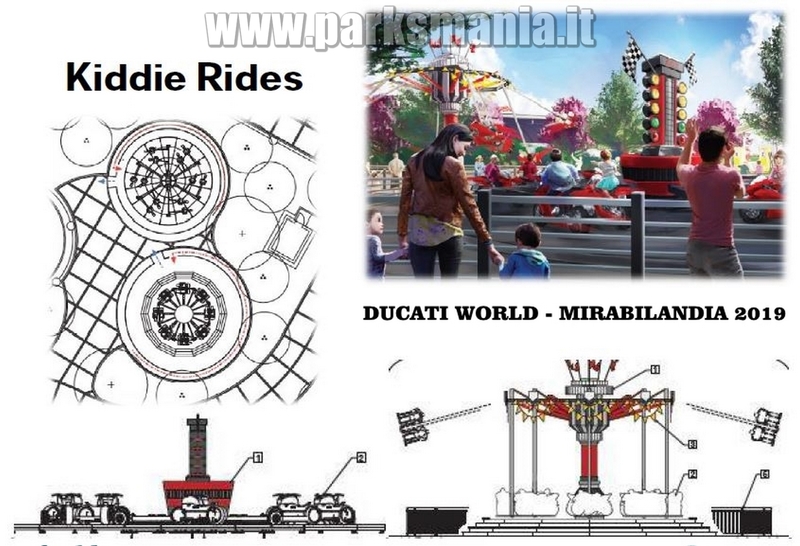 It will be the first motorcycle theme attraction in Italy. 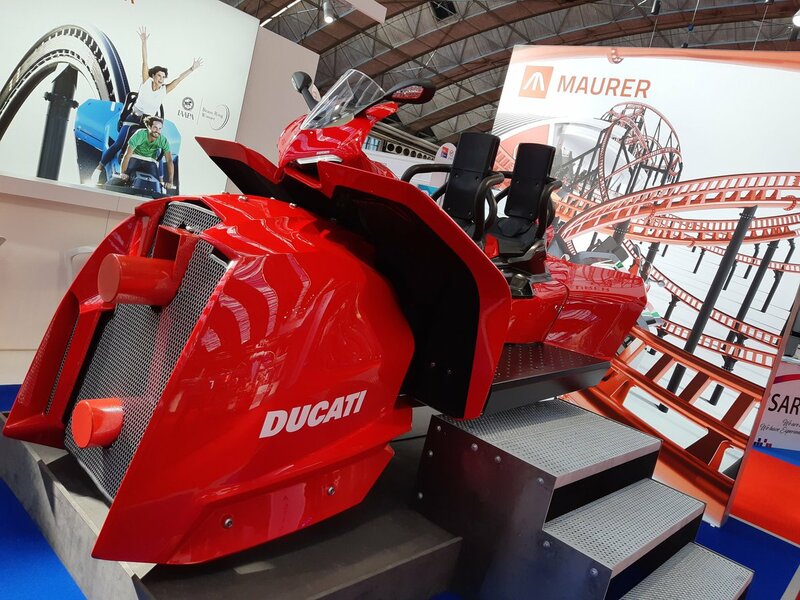 Thanks to this partnership, the visitors of Mirabilandia will be able to immerse themselves in the ebbing world of the Reds of Borgo Panigale,reaching new levels of adrenaline and enthusiasm. 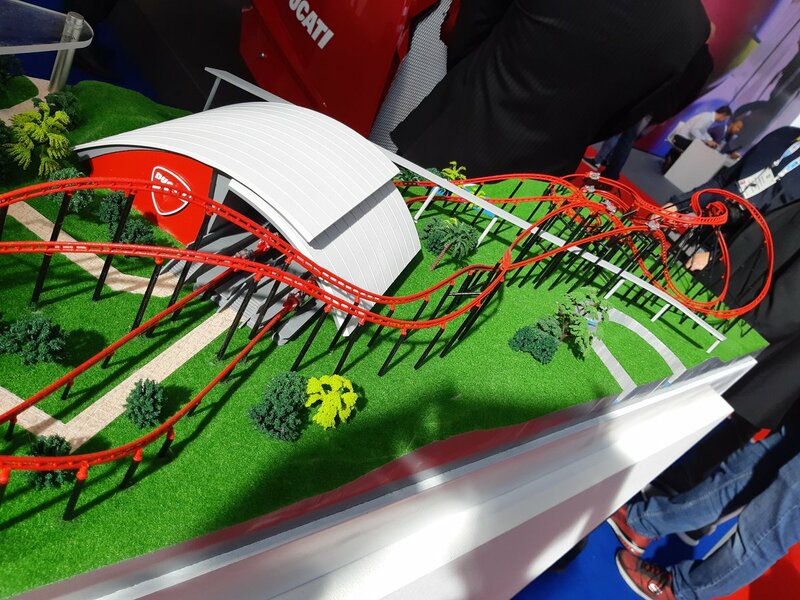 Ducati World will be the first motorcycle theme area to be included in an amusement park in Italy. The project will cover an area of approximately 35,000 square meters and open to the public for 2019. 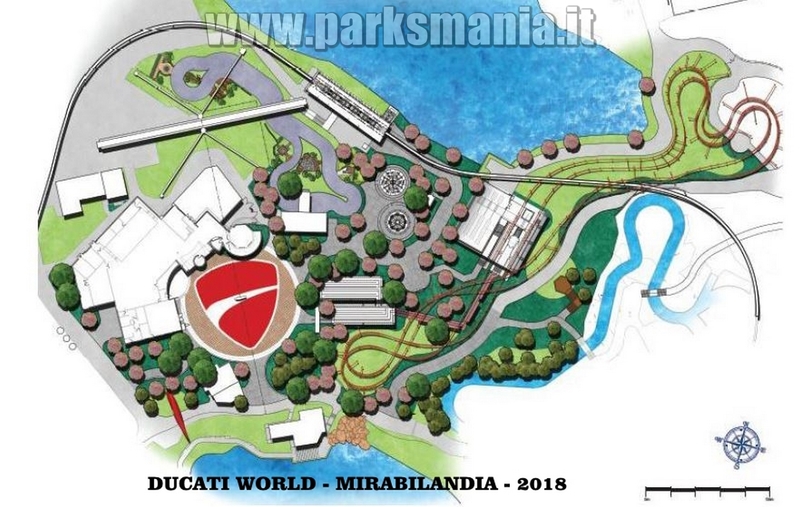 The area of Mirabilandia dedicated to the Motorbike Company will be an attraction for all motorcycle enthusiasts, with a variety of entertainment that can engage the public of all ages, both from Italy and from abroad. 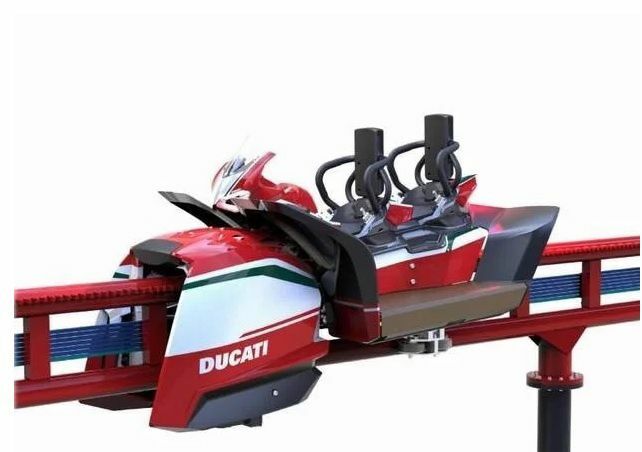 The theme park will include a new generation Russian mountain that will transform every visitor into a Ducati pilot, simulator, virtual reality, and children's attractions. The project also includes a showroom where visitors can find the Ducati motorcycle models, a Ducati shop, where to buy clothing and accessories, and Ducati and Scrambler themed dining areas. also satisfied : "This partnership will transform Mirabilandia, allowing the park to attract visitors from all over the world. Ducati World, incorporated in the context of the strong Emilia-Romagna tradition in the automotive sector, will engage motorcycle enthusiasts in an innovative experience,thanks to the overall strength of the Ducati brand and its strong local presence. " 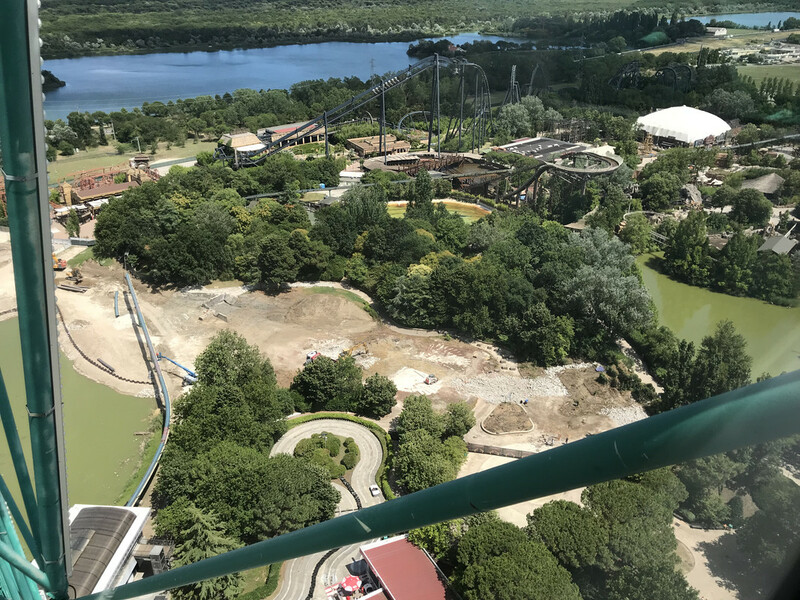 Even Riccardo Marcante, General Manager of Mirabilandia , is excited about the operation: "We are proud to be able to host in our park a brand like Ducati which represents for many Italians passion and adrenaline, values that describe very well the experience that our guests they live every day. 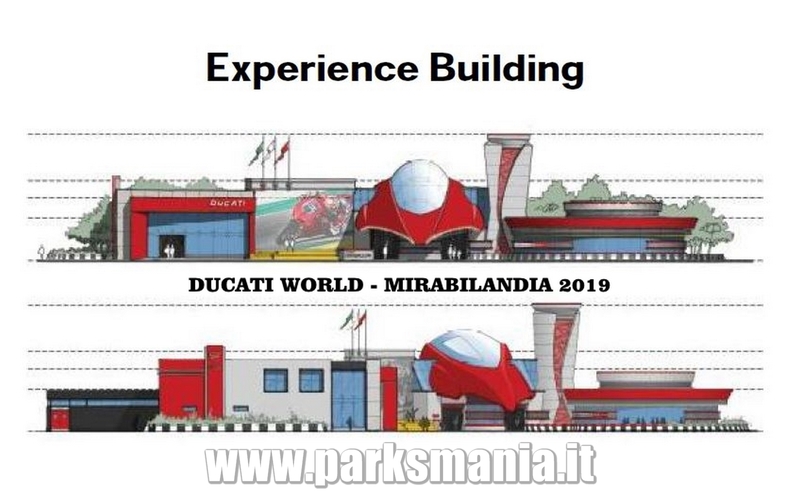 Moreover, this partnership will surely also be an added value for the territory where both Mirabilandia and Ducati were born. " 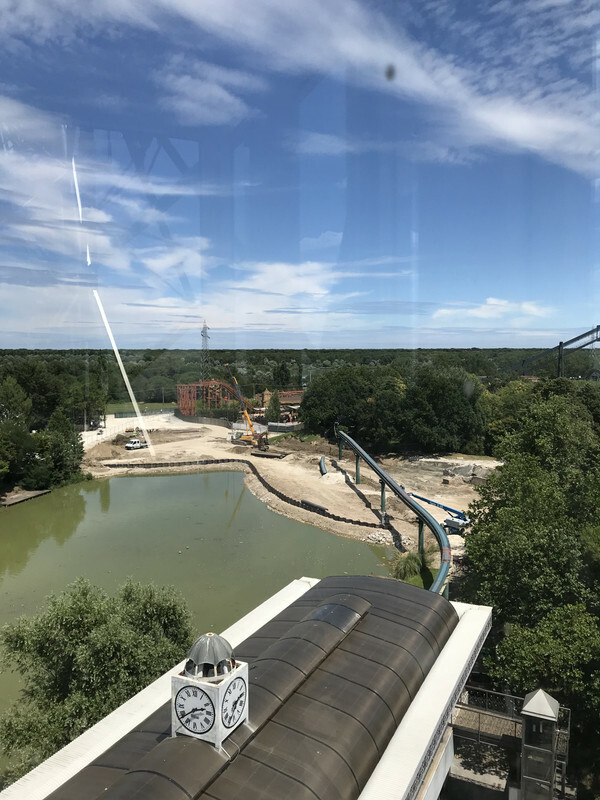 Seems like the park is getting a motocoaster of some sort. It will probably be Intamin since the park has bought their last two coasters from them. 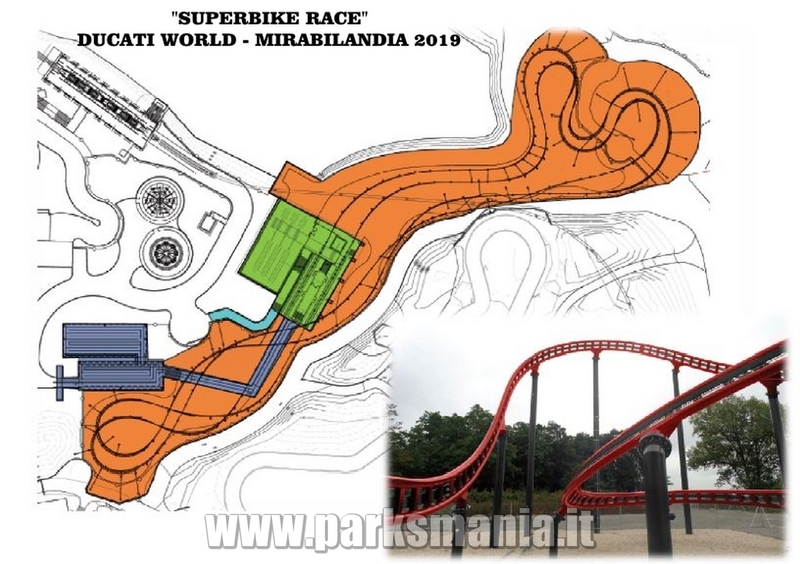 Parques Reunidos, one of the world's leading leisure park operators, and Ducati, one of the most iconic motorcycle manufacturers in the world, have signed an agreement to develop Ducati World at Mirabilandia. 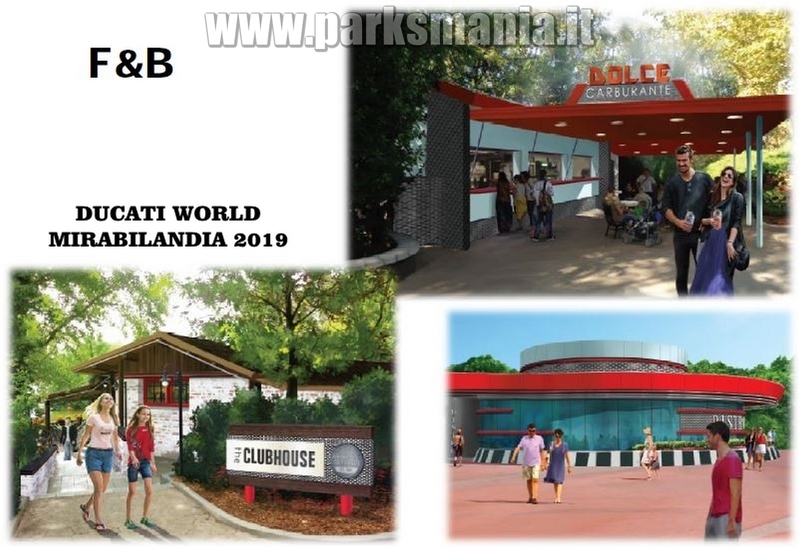 Mirabilandia, located in the Emilia-Romagna region – where Ducati brand was born—is the second largest theme park in Italy as well as the second most visited park in Parques Reunidos’ portfolio. 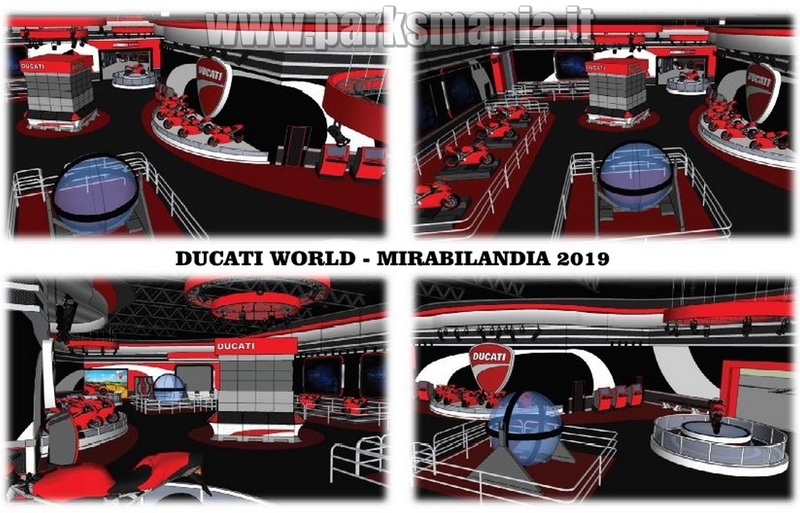 Mirabilandia’s visitors will be able to enjoy this exclusive and innovative Ducati experience, and will reach new adrenaline levels through their excitement for Ducati motorcycles. This thrilling project will occupy an area of approximately 35,000 m2, and is expected to open to the public in 2019. 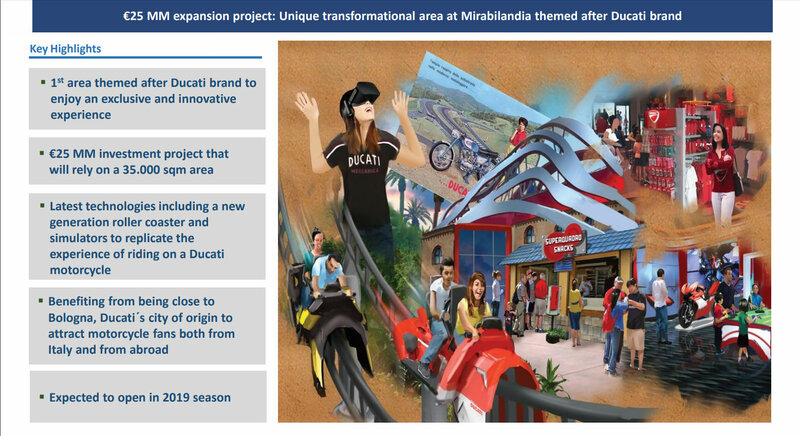 Ducati World will transform Mirabilandia with the power of the first area themed after a motorcycle brand. It will attract motorcycle fans both from Italy, a country famous for its automotive culture, and from abroad, thanks to a variety of attractions that will engage the public with a real motorcycling experience. 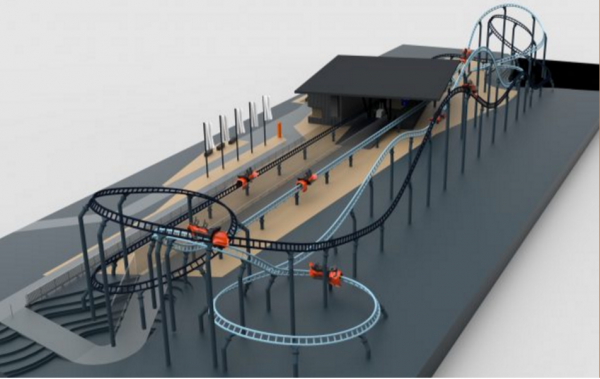 The park will incorporate the latest technologies; among the projected attractions there will be a new generation roller coaster that will replicate the experience of riding on a motorcycle. There will also be simulators, virtual reality, and children’s attractions. The agreement with Ducati also envisions a showroom where visitors will find the most iconic Ducati models. Similarly, visitors will be able to learn about motorcycling history and about the socio-cultural context in which the Italian brand has grown through the 90 years it has been operating. 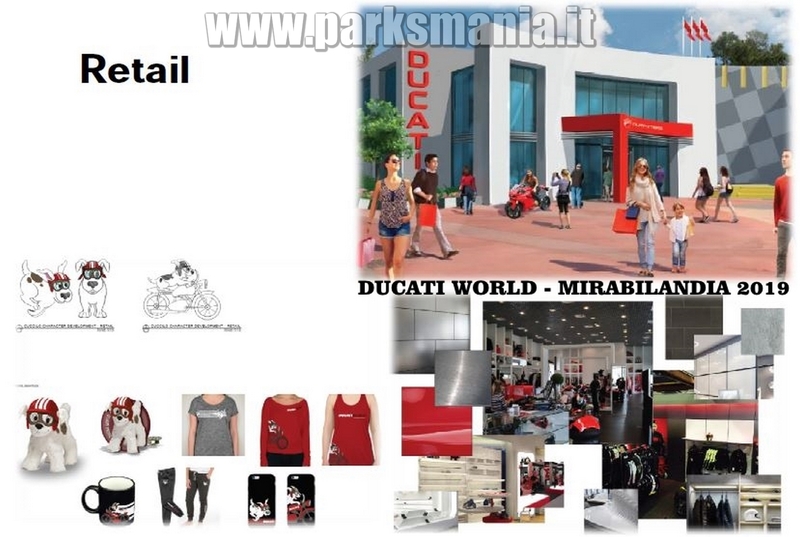 To top it all, the park will also include a Ducati shop, where visitors will have the opportunity to buy all sorts of official Ducati and Ducati Scrambler merchandise; and themed restaurants. Mirabilandia is located on the Adriatic Riviera, near Ravenna, and at the heart of one of the most prosperous and most touristic regions in Italy. The park offers a wide variety of shows and attractions, including the Caribbean-themed water park, Mirabeach, and a number of theme areas such as Route 66, Bimbopoli, Dinoland, Far West Valley, and AdventureLand. With an ample offer, cared-for facilities, and location in a natural environment, Mirabilandia has become the entertainment complex of reference in Italy. “Ducati World will give visitors a chance to live an exciting journey inside the Ducati brand” stated Alessandro Cicognani, Ducati Licensing and Corporate Partnership Director. 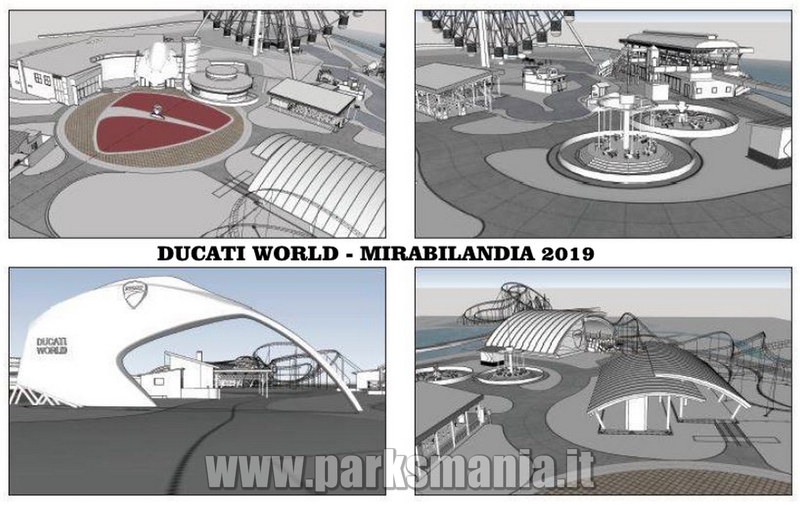 “Thanks to this agreement, together with Parques Reunidos we’re developing the first motorcycle themed area in an Italian amusement park. Mirabilandia’s location, at the heart of the Motor Valley, adds further value to this project dedicated to fun”. Could be a fun addition. I'm curios for the layout of the coaster. Is "themed land" a separate park or is a giant addition? I'm guessing it's probably part of the park but it is Parques Reunidos after all so I wouldn't put a separate entry price past them. That's the news I was waiting for!!! Can't wait for the new Italian coaster! Well there goes all my excitement. RCDB has listed the coaster as a set of dueling Maurer Spike coasters. I wasn't expecting a Mack megacoaster of course.... Maybe a dueling interactive coaster isn't as bad as it sounds. Damn, such low capacity ride for Mirabilandia? I really hope it'll end up being a Vekoma Motorbike instead. Ok but how desperate you have to be to voluntarily fly from another country to go to Thorpe? Have high hopes for what they'll do for the park - let's do so guys! 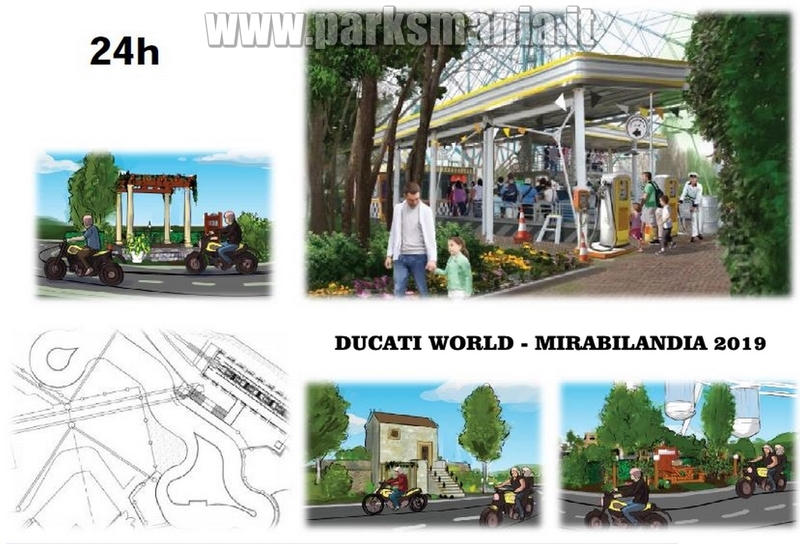 here's some artwork for the upcoming Ducati World at Mirabilandia. If the positioning of the cars on the concept art is right, it should have a dispatch time of 5-10 seconds... but I doubt that would be the case. At least the layout looks decent. I do like that the area ends up in a currently still quiet side of the park. Perhaps it'll draw away the crowds from the other rides. The buildings and everything else looks pretty cool at least. Also I want the doggo. 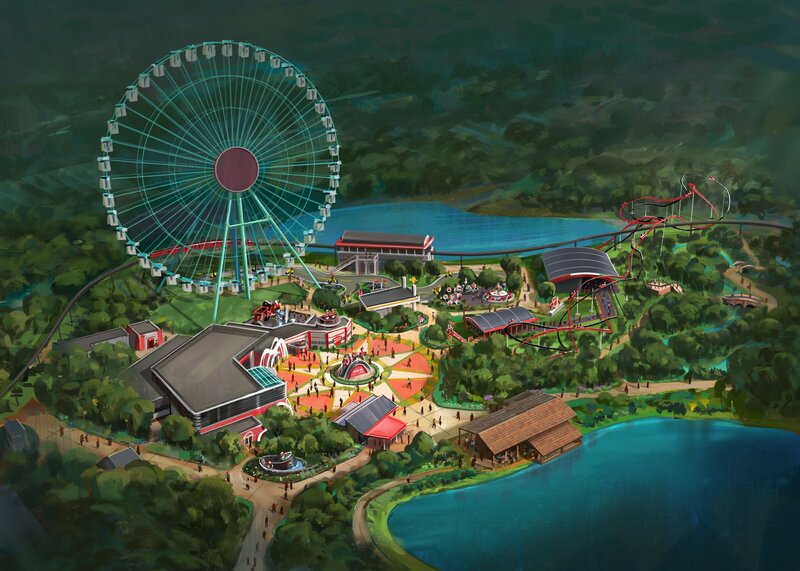 Looks kinda cool - at least the big wheel will give some pretty decent veiws! I for one think we enthusiasts should be excited about this new ride. The opportunity to accelerate OR decelerate on a coaster (control your exact speed) is really unique, and the dueling aspect looks awesome. A motorbike wouldn’tve fit well because Mirabilandia already has an Intamin blitz.